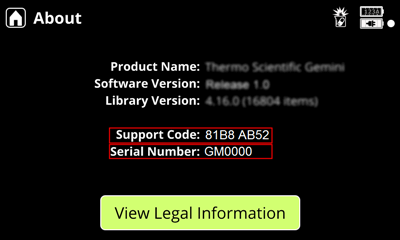 The Serial Number is printed on a label affixed to the back of the instrument, and can also be found on the About screen in the Global Settings Menu. NOTE: Gemini serial numbers are identified by the letters "GM" followed by 4 numbers. No other configuration is valid. 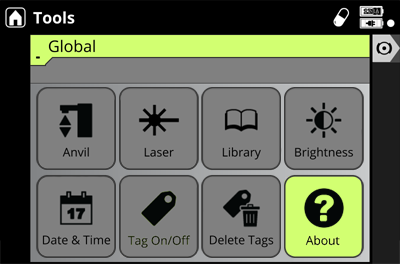 To access the About screen, logon and select Tools >> Global >> About on your instrument. 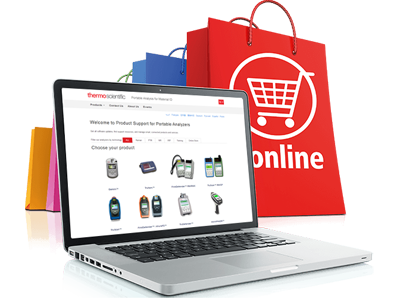 To obtain a valid Support Code, please ensure that the time and date fields are set correctly. Please note: the Support Code changes on a daily basis.